I was first introduced to fostering at the age of 11 as my sister was in a mother and baby placement. My understanding of fostering back then was that it was similar to adoption, that people offered stable homes and support to young people, but just not on a permanent basis. After redundancy from my job in early years education I became a self-employed Nanny for two years, and during that time I worked for several foster families. I helped transport children to and from contact with family, monitored phone contact and supported their individual needs. This provided me with a wealth of experience about the high and lows of fostering, what support is available and the different types of fostering. 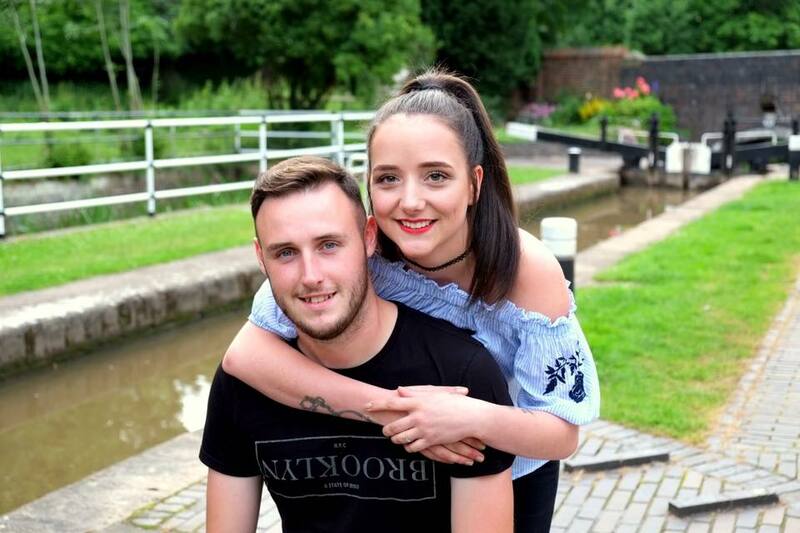 I suppose my husband Ryan and I might be considered unusual because we chose to start fostering at just 22 years of age and before having our own children. We just felt ready, and thought it would be easier to bring our birth children into an existing foster family, therefore helping them to be used to sharing their Mum and Dad and hopefully have more resilience to change. After speaking to other foster carers, we decided to foster through TACT due to the level of support offered and the fact that it is a charity. Although the application process was quite intense we felt very supported by TACT the whole way and we were well prepared for the final panel meeting. Due to my experience in early years education, the fact I was obtaining an early years degree and our young age, we originally planned to foster children aged 0-7. However, our first placement was a 15-year-old! At first, we were a little nervous about what to expect and how the match would work. Would she respect us as carers, would we get the balance between understanding her and parenting right? Fortunately, other than a few minor challenges expected with parenting a teenager, the placement was very successful and she fitted really well into our family. In fact, being younger carers really helped as she was able to spend lots of time with us and our family and friends, on holidays within the UK and abroad and day-trips. We found that people would just assume that she was our family member or a friend, which helped when transporting her to social activities with friends and to school, as she preferred to keep her peers from knowing that she was in foster care. One of the highs as new foster carers was when we had the pleasure of having her as our bridesmaid at our wedding in July 2017. We felt so honoured that she agreed to play such a key role on our special day after only living with us for just a few months. She stayed with us until just after her 17th birthday, when she decided she wanted to live independently in an area she had lived in previously. We have had other placements, all either respite or short-term, ranging from one week to several weeks and aged between 7 and 15 years. Although most young people have stayed for a relatively short period of time, we have seen a huge difference in their outlooks, confidence and outcomes. Our teenagers left with important life skills including washing laundry, general house duties, independence and job-seeking skills. Without meaning to sound too cliché or sentimental, I feel that fostering is something I was made to do. I feel honoured to have found my purpose in life and something worth all the worries and unexpectedness. most of all, fostering brings feelings of accomplishment, pride and joy. Click here to read more foster carer stories.